What’s it like at to live at Wake Forest? One way to find out is to look at the many ways students, faculty and staff build community. Its people are committed to making the world a better place on campus, within the community and beyond. The year began with more than 40 faculty members representing 13 academic disciplines welcoming first-year students to their residence halls. Each faculty pair, along with a residence life and housing staffer, met an average of 60 students in the Class of 2016 through a program called Faculty House Calls. The door-to-door meet and greet is the first of many opportunities for students and faculty to get to know one another outside the classroom. First-year students attended a mandatory (Yes, mandatory!) orientation program to be introduced to the Office of Personal and Career Development (OPCD). All 1,357 students gathered in Wait Chapel. To keep their attention, the OPCD program included games, live polling using text messaging, music, videos and even paper airplanes. From their very first days on campus, Wake Forest students begin thinking about post-graduation life. 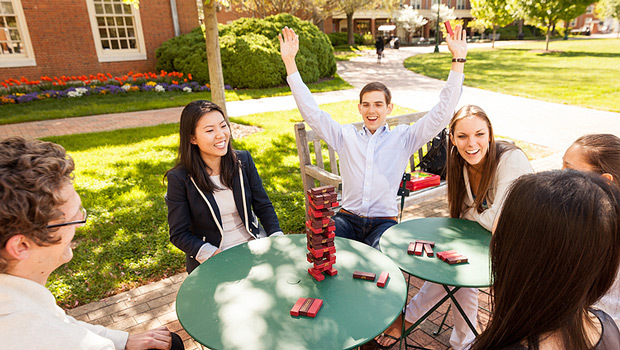 Wake Forest has been at the forefront of transforming the traditional, outdated concept of “career services” into a holistic, four-year approach to personal and career development. The success of the college-to-career initiative shows in the results: 95% of survey respondents from the Class of 2012 report being employed or attending graduate school. News of Wake Forest’s nationally recognized strategy for personal and career development appeared in The Wall Street Journal, USA Today (via The Hechinger Report) As grads seek jobs, universities cut career services and Inside Higher Ed. North campus will have a whole new look when students return this fall with residence halls opening in August 2013. 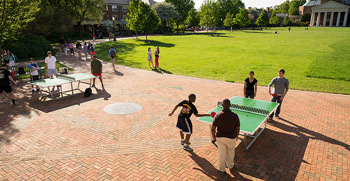 “I’ve been on many other campuses, and I believe Wake Forest has the best-designed and intentional residential experience for students,” said Donna McGalliard, dean of residence life and housing. A new dining facility, opening later in the year, will offer a variety of service options, from sit-down meals to short order menus and a convenience store. Established in 2005, the Dean’s Cup recognizes the Wake Forest athletic team with the highest grade point average each academic year. In 2012-13, men’s track and field/cross country and women’s golf celebrated a three-peat. Each team has captured three consecutive titles. The Spirit of the Old Gold and Black, Wake Forest University’s marching band, performed live on stage with Grammy Award winning artists Rascal Flatts at the Greensboro Coliseum. Approximately 50 students (about half the marching band) had the opportunity play along during the trio’s popular song “Life is a Highway,” a tune the Wake Forest band routinely performs at halftime of home football games. Check out the video. From marking milestones in Wake Forest’s history to celebrating the current cultural diversity on campus, Faces of Courage provided a framework during the 2012-2013 academic year for showing Wake Forest’s ongoing commitment to diversity. 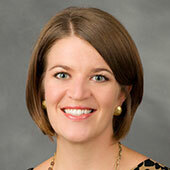 Read more about diversity and inclusion in the Wake Forest community here. 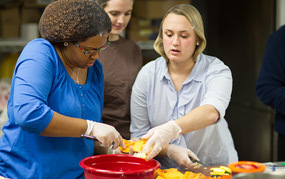 Named to the 2013 President’s Higher Education Community Service Honor Roll, the Wake Forest was one of 28 schools in North Carolina to be recognized for engaging its students, faculty and staff in meaningful service that achieved measurable results. Below are some of the ways Wake Forest lives Pro Humantiate. 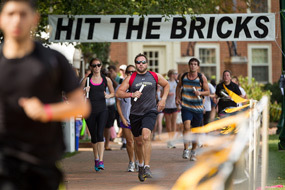 Students “Hit the Bricks” for cancer research: Ten years ago, students at Wake Forest started a new tradition, “Hit the Bricks,” to raise money for the Brian Piccolo Cancer Fund Drive. To honor the former Chicago Bears running back who attended the University in the 1960s and whose story is featured in the 1971 movie “Brian’s Song,” they started an eight-hour relay race along the brick pathways on campus. Hit the Bricks pits students against faculty and staff to see who can run the most laps around Hearn Plaza and raise the most money. This year 93 teams completed 25,396 laps around the plaza raising nearly $30,000. All proceeds support cancer research at the Wake Forest University Baptist Medical Center’s Comprehensive Cancer Center. Check out the Flickr gallery. An enchanted Halloween: The 24th annual Project Pumpkin brought more than 1,400 Winston-Salem area children to campus for an afternoon of fall celebrations. Sponsored by the Volunteer Service Corps, Project Pumpkin is one of Wake Forest’s largest community events. Relive it through some of our favorite photos. Turkeypalooza feeds the hungry: The sixth annual Turkeypalooza brought student and faculty volunteers together during the week of November 13 to prepare and deliver more than 400 Thanksgiving meals to local organizations. Wake ‘N Shake breaks records: This year’s Wake ‘N Shake event, a student-run 12-hour dance marathon to benefit the Brian Piccolo Cancer Fund Drive, raised a record $125,722.57. More than 1,300 students, faculty and staff “danced for a difference” in memory of someone they have loved who has been affected by cancer. Painting desks for local children: Rows of brightly colored desks lined the Magnolia Quad as Wake Forest students painted more than 60 of them for Old Town Elementary School students. Some children even grabbed a brush to help. A successful second TEDxWakeForestU turned an experiment into a spring semester tradition. What did attendees think of the event? Read their ideas captured through social media. 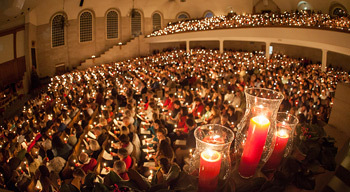 Each December, more than 2,000 students, faculty, staff, alumni and community members gather in Wait Chapel for the University’s annual Christmas Lovefeast and Candlelight Service. Wake Forest’s first Lovefeast was organized in 1965. The European custom originated in 1747 and was introduced to North Carolina by early Moravian settlers at Bethabara in 1753. Volunteers serve more than 100 dozen traditional Moravian sweet buns and 90 gallons of Moravian blend coffee, and each attendee receives a traditional beeswax candle decorated with red paper bows. It is one of the most beloved events on campus. Wake Forest stands on 300 acres of property once owned by R.J. and Katharine Reynolds. Who were these two powerful players? Kahle Family Professor of History Michele Gillespie’s new book, reviewed by the Wall Street Journal, is the first official biography of the couple and their influence on Winston-Salem. Find out more about the turn-of-the-century twosome who are so intimately connected with Wake Forest University. For those interested in Wake Forest College history pre-Winston-Salem, read Pilgrim’s Progress and take a virtual Trek to Old Campus. For more Wake Forest history, try Seven Things You Probably Didn’t Know About Your Mother, So Dear.